Many people falsely believe that an issue “with just one tooth” is no big deal. However, the truth of the matter is that any issue involving one or multiple teeth is a huge deal. Multiple studies over the past decades have proven that there is a direct link between the health of your mouth and the health of your body. Diabetes, liver failure, and heart disease can all be linked in patients who suffered from poor oral health. Having dental restorations taken care of quickly can restore your health, and it can prevent further issues from arising within your mouth. Dental restorations go beyond just correcting the appearance of your smile, they are specific dental procedures done to restore the health and function of your entire mouth. 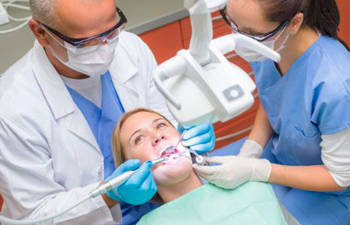 Allen Dentistry is the name that you can trust in Allen, Texas. Contact our practice today to schedule an appointment. We are dedicated to making your experience as positive and rewarding as possible!